Cross-Boring Can Be Deadly: Avoid Tragedy with These Important Work Practices! Takeaway: Cross-bores can be costly and dangerous. Plan your project and do everything you can to avoid cross-bores, and thoroughly document your work so that nobody will drill through your pipeline. It's one of the worst nightmares you might encounter in the trenchless world. A cross-bore happens when your trenchless drilling project encounters – forcefully – another pipeline or conduit that is either (a) unknown to you or (b) unknown to everybody. A cross-bore isn't a trivial event under any circumstances. Under the worst possible circumstances, a cross-bore can threaten not only the lives of your crew, but the lives of nearby people who've never even heard of cross-bores or trenchless technology or imagined that their home or office sits above layers upon layers of subterranean services. Most of the work that prevents cross-bores takes place long before a contract is signed, or a hole is bored. Some of the first efforts are organizational in nature and some require an effort that extends all the way into the field. 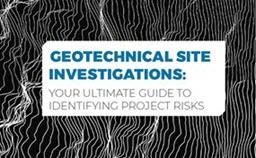 First, you identify any potential cross-bore risks associated with the project. Articulate the risks – if there is a disused gas line in the area, look at the potential for a cross-bore. This includes a real possibility that it may still have gas flowing through it. You must consider what might happen if true. "What if?" may not be your favorite game, but using it to consider all possible risks may keep you out of cross-bore trouble. Plus, ensure your project will comply with all local and state regulations. Train them with specific methods for controlling the effects of inadvertent cross-bores. Your team may never use the training, but if you have it, it may save thousands in fines and settlements. Just because there's no natural gas service in an area doesn't mean there's no chance of a potential natural gas cross-bore in that area. Gather and use all the research you can assemble on the area, use your geographic information system (GIS) and the latest overlays available from one call, as well as any available from the local or state government to help prevent cross-bores. Before the work begins, use – or have your geotech contractor use – potholing and ground penetrating radar (GPR) to verify potential crossings. You can use sensors placed in the drill head, acoustic sensors on the ground and GPR during the drilling or boring process to "see" what the subterranean landscape holds for you ahead of your drill bit. Don't be stingy with information from your pre-project findings, if any. Share these findings with one call. If you have to daylight a potential cross-bore, use a GPS unit to mark its exact location and a survey crew and computerized theodolite to provide a surveyor’s map of the location. The information you share will be recorded for your future use or use by other contractors. The information you pass along may prevent someone else from drilling through your hard work. Speaking of hard work, that doesn't end when your crew daylights the potential cross-bore. You still have to refill the hole and restore the surface to the condition it was in prior to your daylighting expedition. All of this adds to the cost of – perhaps it adds a nonrecoverable cost to – the project. However, the costs of a cross-bore are almost certain to exceed the costs of digging a simple hole in the ground and refilling it. At the end of the day, you dodged the nightmare.